Part 29 of my youtube countdown continues yesterday’s theme of solo Beatle acoustic performances. In this one, we have John Lennon playing Dear Yoko at his Cold Spring Harbor, Long Island home. The common response to seeing the video is two fold. For starters, a lot of people have trouble believing its really John behind the hat and long beard. Well, it’s him. Second, people are blown away by the intimacy of this video performance, wondering if John somehow predicted the emergence of youtube. Well, obviously he didn’t, but this rare video is a beautiful youtube gift. Its the type of clip that justifies youtube’s existence. The main thing that strikes me personally about this clip is the wonderful condition John’s voice is in. One thing I’ve come to realize is that John continued to improve as a singer well after the Beatle years. 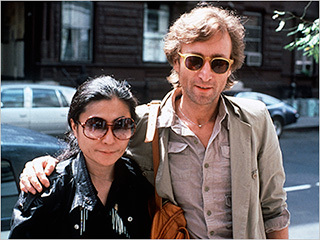 His singing on Double Fantasy is the best of his career in my opinion. Another thing that hits me is the songwriting style of “Dear Yoko.” It’s like a throwback to the love songs he wrote with Paul when he was 17, in its simplicity, but ironically, filled with way more innocence and vulnerability than he could ever muster at that age. This entry was posted on Tuesday, April 5th, 2011 at 1:12 pm and is filed under John Lennon, Youtube Favs. You can follow any responses to this entry through the RSS 2.0 feed. You can leave a response, or trackback from your own site.